I really must get organised as the badge says ‘Meal Planning Monday’ but I never get round to posting mine until Tuesday every week! Last week’s plan went well, apart from the Lamb Tagine – the less said about that the better. Lets just say a combination of stringy lamb and forgetting to cover the dish did not produce a pleasant meal. Despite this little hiccup, I stuck to the plan and saved money as I didn’t have to do any extra shopping. Yippee! This week I am trying out some recipes from a new book I got this week – My Daddy Cooks. Nick is a great twitter friend and I’ve been eagerly awaiting his recipe book – at first glance, it certainly lives up to, and exceeds my expectations. Nick and his son, Archie also video blog lots of recipes over on their blog – well worth checking out if you haven’t already. The book contains lots of good old family classics, that have been given a My Daddy Cooks twist as well as breakfast dishes, speedy desserts and a whole host more. When my copy of the book arrived, I sat down and showed Faith, who took a great interest as she had watched Nick and Archie cooking in their videos. 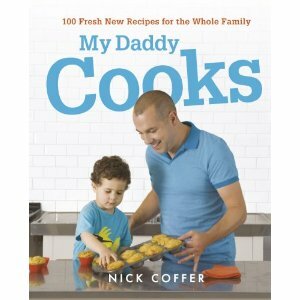 When I told her the name of the book is ‘My Daddy Cooks’ she looked at me blankly and replied, “Oh! My Daddy doesn’t!” Out of the mouths of babes…. 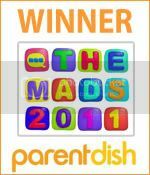 As always, check out At Home with Mrs M’s linky for more ideas and inspiration. Happy meal planning! Your sunflower cupcakes look simply stunning. Gorgeous! Lovely Amy. Liking the sound of the kebabs with cous cous. I meal plan quite a lot – makes the control freak in me feel very settled! We’re having fish pie tonight, chicken with chorizo and rice tomorrow and spinach and feta pasta with pine nuts on Friday! Thanks for joining in, I like the sound of that pie from the new book – I might have to get a copy! It is a fab book – we’ve cooked loads from it already. Some of the breakfast dishes are brilliant.